You are here: Home » Forums » Newbies » Why are broccoli, kale, onions and garlic in Phase 1 diet? Why are broccoli, kale, onions and garlic in Phase 1 diet? 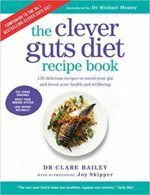 On P191 of The Clever Guts Diet it recommends trying to avoid broccoli and kale and yet in Phase 1 meal plan (p262-263) they are included for dinner on Mon, Sat and for lunch and dinner on Tues. P191 also advises reducing onions and garlic and yet these are included in at least one meal everyday. Does anyone know why there is this apparent contradiction? I have just finished week 1. Thank you. I too am confused by the inclusion of kale onions etc in phase 1 diet.